I called the ranger station to check on conditions for the Pasayten Wilderness area we are hiking in this weekend. Among other things I asked if the bugs were a nuisance this time of year. She chuckled and said "Reports are coming in that Mosquitos are being assigned to individual hikers by the cloud full." That doesn&apos;t sound pleasant. So what defenses am I taking? First line of defense will be clothing repellant. It&apos;s going to be hot and my thin t-shirts are no defense for mozzies. I&apos;m going to treat my shorts and T-shirts with Sawyer Spray on Repellant. My second line of defense is for my exposed skin. I&apos;d rather stay away from DEET unless I really need it. I&apos;m going to need to wear sunscreen on my exposed skin anyway – so why not combine it with a light repellant. Avon Bug Guard is SPF 30 and claims to keep the bugs away. It has rave reviews on epinions, so we shall see how true they are… I&apos;ll take a repackaged 2 oz container. My third line of defense is for when the clouds swarm and the other defenses fail. Out comes the Ultrathon 34% DEET. Again, 2 oz should be plenty. 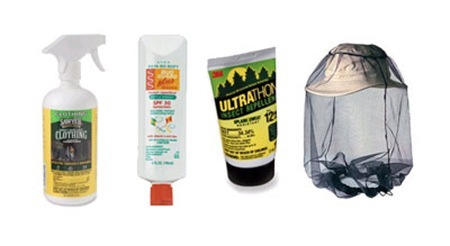 And finally… when when I&apos;m in camp and wanting to cook without being bugged… an ultralight mosquito net at 0.3 oz. Go Bill – taking one for the team. This entry was posted in Backpacking, Gear Reviews, Safety on July 8, 2008 by brett. 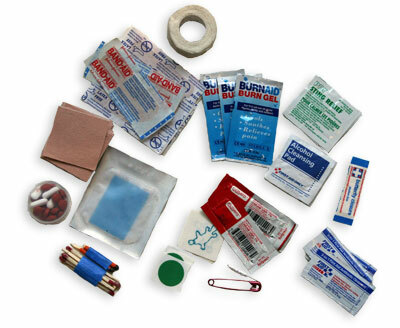 What&apos;s in an Ultralight first aid kit? My first aid kit weighs about 3.2 oz.. Its assembled from various bits and peices and everything is kept together in a zip loc sandwich bag. Typically I buy bulk sachets of small amounts from First Aid Product.com. I keep some patches – to fix up a burst Platypus and to fix up a punctured Thermarest. Just in case. 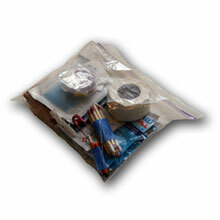 I also carry other small items in this bag – the tooth brushes and MicroPUR tablets. This entry was posted in Backpacking, Gear Reviews, Safety on September 10, 2006 by brett. This headlamp weighs only 1.1 oz., and the battery lasts forever. 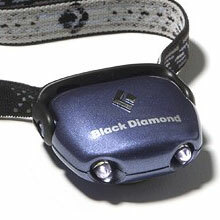 A few times, we&apos;ve have to hike out in the dark of night and been glad we had these things. Also useful for breaking camp early before the sun is up. I always carry a spare battery in my first aid kit. I figure with 3 batteries between us, that should get us out of any sticky situations. Available from REI for $19.95. This entry was posted in Backpacking, Gear Reviews, Safety on September 9, 2006 by brett.